Buster's owner died and a relative was going to take him home - but their dogs did not agree!! Buster is 10 years old, born in 2006. 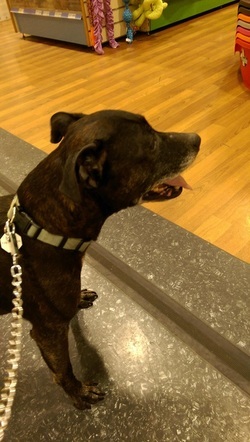 Our vet has said that as Buster is a mature gent it would be better to leave him entire rather than neuter him. This means he will not be homed with an unspayed female. 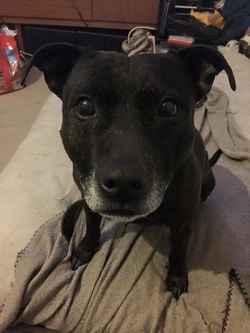 As far as we are aware Buster has no medical problems but we know that sometimes the health of an older dog may be a barrier to rehoming so Buster will be a Sponsor Dog! This means his new family pay for routine vet treatment such as vaccination, flea and worm treatment, and if there is any injury but BABS will cover any medical expenses that arise through illness. Buster has not been tested with cats or small furries. He is getting used to lots of walks and thoroughly enjoys meeting new people. 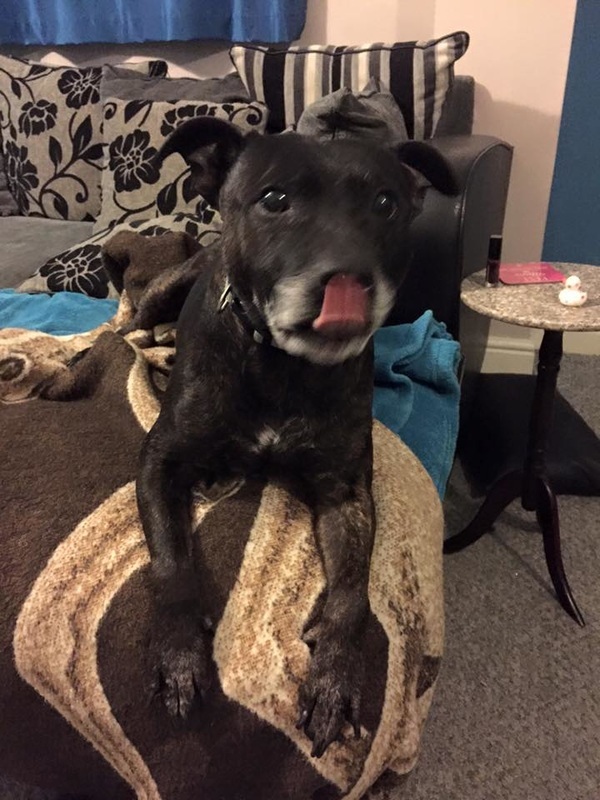 Buster was in foster with other dogs and was then rehomed to live with dogs. 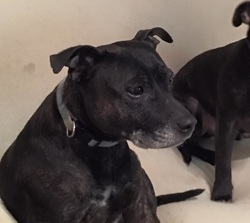 All went well for 5 weeks then one of the original dogs and Buster had a bit of a spat, and they are determined they will not make friends again so Buster is again looking for a home. In view of the recent situaion we would say he could live with females (who would tell him off if he got fruity) but not males. If you are interested in adopting Buster please contact us . Homecheck and a small donation apply.